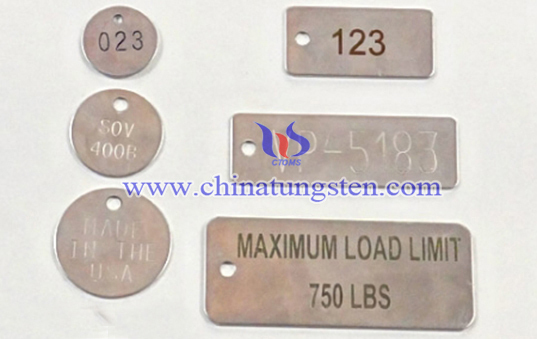 Numbered tungsten tags are used for a variety of reasons, such as identification, weight or flow capacity, date and time stamping, and location. We offer numbered tags in a wide range of marking styles, including circular, square, rectangular and rounded edge shapes with one, two or no holes in a wide range of sizes. Our custom numbered tungsten tag can be manufactured using tungsten alloy material, with the advantages of environmental-friendly, durable and hardness. Its surface can be engraved with various types of pattern, including meaningful numbers, English letters and so on. Therefore, custom numbered tungsten tag also can be regarded as a very meaningful and unique gift for your best friends and lovers. 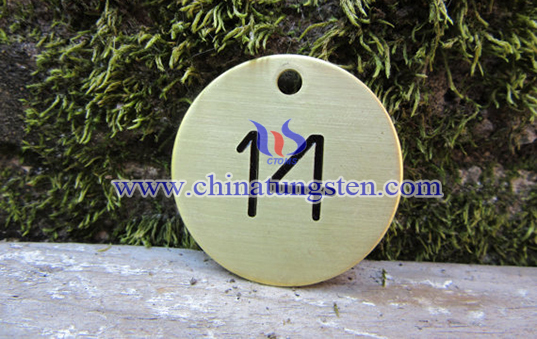 If you have any interest in custom numbered tungsten tag, please feel free to contact us by email: sales@chinatungsten.com sales@xiamentungsten.com or by telephone:0086 592 5129696.